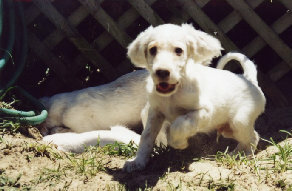 The English Setter, one of three types of Setters (Irish and Gordon), is an affectionate pet that does well with children. An easy-going personality contributes to their ability to be comfortable with strangers and other pets. Because of their long coats they need to be brushed almost on a daily basis to keep it from knotting. 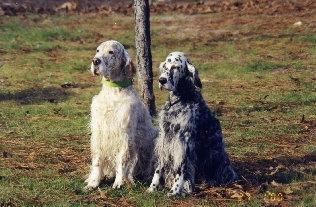 The English Setter needs a lot of exercise and may be best suited to life in the country where they can enjoy a fenced yard. Medium length, flat Moderate Excellent with children. Needs daily exercise and fenced yard. Can be vocal.